Energy-intensive industries are responsible for a large share of Europe’s greenhouse gas emissions. This means they have a key role to play in implementing the EU’s roadmap to decarbonisation. From the steel-manufacturing industry to the glass and cement sectors, EU funding has supported technological innovations that offer competitive advantages, while reducing energy consumption and related emissions. Many of these innovations are being co-funded by the LIFE programme and more than 20 LIFE and Horizon 2020 projects gathered in Utrecht last week to exchange good practice and provide recommendations to policymakers in the sector. Participants at the LIFE platform meeting highlighted the need for clear direction on how to meet Europe’s ambitious climate change goals in response to the UN’s Paris Agreement. They also emphasised the long-term nature of investments in decarbonising technologies: decisions taken today will affect the industrial landscape for decades to come. They therefore claimed that the risks related to these long-term investments cannot be addressed by the industrial sector alone and should be supported by national governments and European institutions. The meeting was hosted by LIFE OPTIMELT, a project that is pioneering a waste heat recovery system to address emissions in the glass sector. Preliminary results from its industrial-scale demonstration furnace indicate important reduction in energy use and CO2 emissions compared to the current best available technologies for oxy-fuel combustion furnaces. The technology has been installed at the Libbey glass factory in the Dutch town of Leerdam and has attracted interest from Brazil, Japan and the US, as well as Europe. “If no one takes a step forward and is willing to share best practices…then nothing will change. If we make this a success, which it looks like being, we will have a certain advantage,” says project leader Marco van Valburg. Further improvements in performance are expected as the process is optimised. 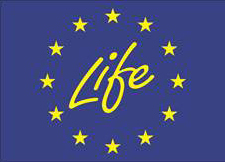 LIFE funding has supported other developments in oxy-fuel furnaces, notably in Bulgaria with the project LIFE Eco-HeatOx and its two follow-ups, LIFE CleanOX and LIFE SmartOxyboost. These demonstrate the potential for heat recovery in oxy-fuel furnaces, particularly for small and medium-sized glass producers, reducing both greenhouse gas emissions and investment costs. Tunç Görüney of Şişecam Group, the company running the Bulgarian projects, explains that waste heat recovery is one step on a step-by-step path to decarbonisation. The long-term goal is electrification of glass furnaces in connection to an electric grid fed by renewable energy sources. However, there are still barriers to overcome: “I don’t see that glassmakers will have a huge interest in investing in electrical melting until an original equipment manufacturer (OEM) comes up with a viable solution or power prices come down,” he explains. “However, ‘transitional’ melting technologies such as increased share of electrical boosting, hybrid melting, oxy-fuel and waste heat recovery will give support,” says Dr Görüney. The French project SOLID LIFE has focused on producing low-emission cement and concrete products on an industrial scale, achieving a reduction of up to 70% in concrete’s carbon footprint. “We use less fuel, but we also use less limestone as a raw material,” explains project leader Vincent Meyer of the LafargeHolcim Centre de Recherche. Carbon dioxide emissions can be reduced by 30 % at the cement plant and the final concrete products offer advantages in terms of ‘just in time’ delivery, appearance and waste. Developments in energy and resource efficiency are mainly driven by cost. Full electrification of glass and ceramic furnaces is not suitable according to several participants, but efforts can be made to ensure that the fuels used are renewable. For both processes, however, it is vital to ensure continuity of the power supply and both sectors are open to hybrid solutions using electrical power and fuels combined in a smart way. Presentations from the platform meeting are available here. A detailed final report will be online soon.